This weekend there will be an open house event held at Baxter Green in Bramcote village on the outskirts of Nottingham. 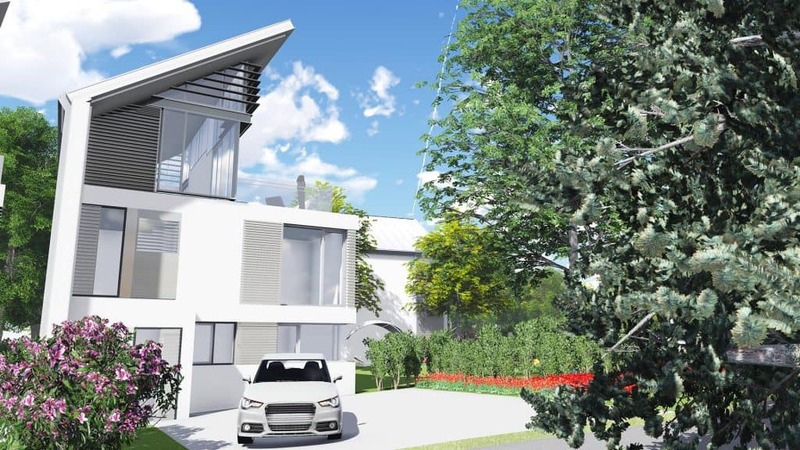 The new development, designed by Leonard Design, is situated within an idyllic green setting on the former garden site of St. Johns College. The event at Baxter Green will initially showcase a five-bedroom detached house however the full scheme once complete will also include three-bedroom houses as well as 15 apartments. In total the development will have 40 residential properties all set in the Grade II listed setting. In brief, the property comprises entrance hall, lounge, living room, dining room, breakfast area, utility room, kitchen and further reception/sitting room, cloakroom/W.C and feature stairs to first floor, leading to four double bedrooms, one with full en-suite, family bathroom/W.C, laundry room and stairs to a top floor, leading to the master bedroom with an en-suite bathroom with shower, and morning room leading to a sizeable roof terrace.